I’ve meant to write this post for a while but now the sun is departing for however long, I thought the sunny Moroccan flavours from these preserved lemons would at least keep the sun in our mouths, if not on our faces. 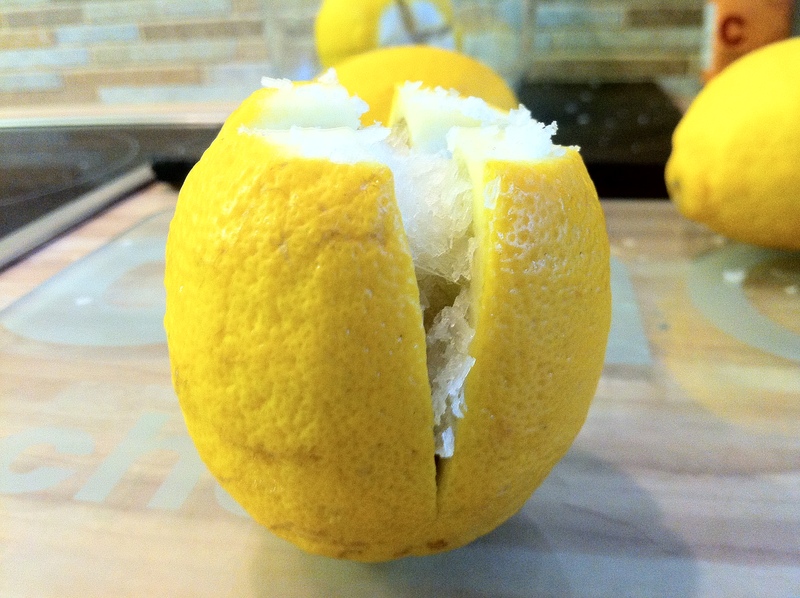 First wash your lemons, then top and tail them to remove the stalky bits. Cut them into quarters leaving a couple of centimetres uncut so they are still joined at the bottom. 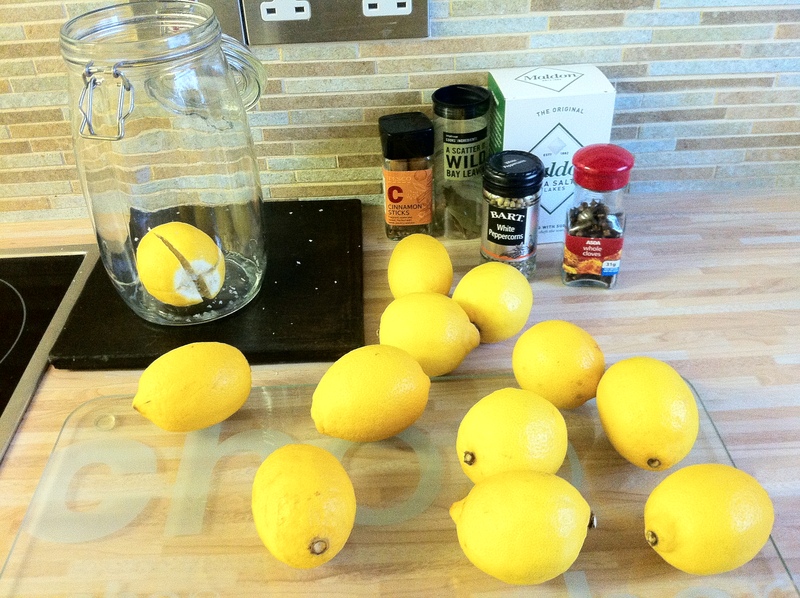 Then pack the lemons with sea salt. As you cut and pack the lemons, place them in your jar and squash them down a bit to release the juice. Layer the lemons with the spices and more salt. When you can’t fit any more lemons in the jar top up with lemon juice until the lemons are completely submerged. Turn the jar every few days and after about a month they will be ready to use. They should store for about 6 months, I keep them in the fridge to be on the safe side once opened. Preserved lemons are so versatile. You could tart up a roast chicken by putting a couple in the cavity before you put it in the oven. Cook up some chicken thighs with green olives and preserved lemons. Make a marinade that goes beautifully with chicken or fish from rose harissa, olive oil and preserved lemons. Create a zesty sauce from chopped green olives, preserved lemon rind and fresh parsley. Or experiment by using preserved lemons in place of a fresh lemon in your cooking. Give them a wash before use though and remember that just a little will impart quite a strong flavour. Some people recommend just using the rind and discarding the salty flesh but I think it depends how you’re using them. * To sterilise jars, first wash well and let them dry in a preheated oven at 140c/Gas Mk 1/275F for about 10 minutes. Remember not to put anything cold in them until cooled or they may break. Nigella says in her Christmas book that getting them straight out of a hot dishwasher is as good as sterilised too.